Let's celebrate Autumn with this festive block by Eleanor Burns. 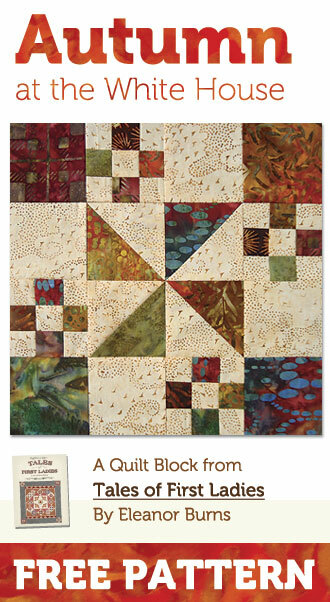 This fall themed block was inspired by a pattern in Eleanor's most recent book Tales of First Ladies. Download not working? Try this link.